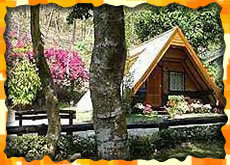 Pictures and location of Krisdadoi Chiangmai Aprime Resort in Chiangmai Thailand. Detail description of the hotel, facilities, maps and location. 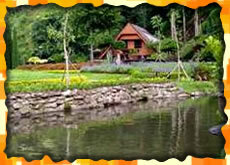 => Read reviews about Krisdadoi Chiangmai Aprime Resort. 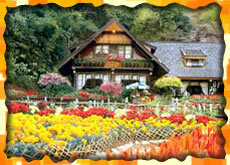 This legendary country-style resort, situated at an elevation of 700 metres above sea-level, is famous for its beautiful botanical gardens and flower park extending over 20 acres of charming countryside in the southern valley of the twin peaks of Doi Suthep-Pui in Chiang Mai. 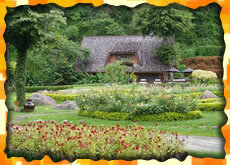 In the midst of the serene, picturesque landscape of mountains and lush evergreen forests, the floral splendour of the botanical gardens and flower park is a spectacular miracle of nature to be enjoyed. The sight and sound of flowing water adds to the dramatic scenery that surrounds the resort. A waterfall cascades down a rugged cliff-face into a stream – a tributary of the Ta Chang River that flows through the resort all year round. Natural fountains dance in the cool breeze. The intrinsic beauty of Krisdadoi Chiangmai’s mountainous setting and its landscaped gardens makes the resort, a true paradise for nature lovers. The brainchild of an entrepreneur and property developer, Krisdadoi Chiangmai was initially built as a private retreat and dream resort for family and friends. The weekend vacation home, comprising nostalgic European-style country cottages set in the midst of acres of botanical gardens, was soon welcoming a steady stream of guests. 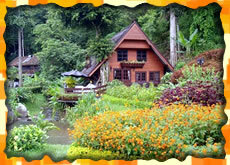 By popular request, the private retreat evolved into a boutique resort project - the first of its kind in the Hangdong-Samoeng districts of Chiang Mai. 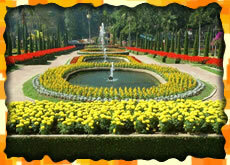 Known simply as the Krisdadoi Chiangmai, the botanical gardens and the flower park finally opened its doors to the general public. 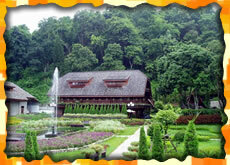 Twenty years later, Krisdadoi Chiangmai remains one of Chiang Mai’s unique attractions and a destination resort in its own right. 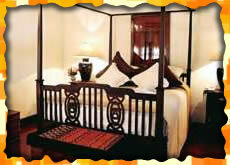 Krisdadoi Chiangmai Aprime Resort currently offers 20 spacious rooms and suites. 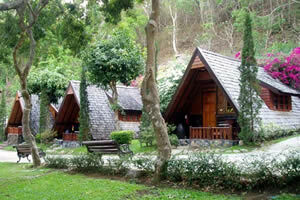 Plans are underway to offer a diverse range of luxury accommodation that includes Golden Teak cottage suites and luxuriously-appointed rooms offering the finest in service and guest room facilities, including modern technology, to ensure a comfortable and pleasurable stay and a delightful holiday experience. 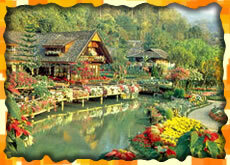 The legendary home of Lanna Thai artisans, Chiang Mai is known for its rich artistic tradition. This artistic refinement is reflected in the design, rich architectural style, interior décor and ambience of the resort. 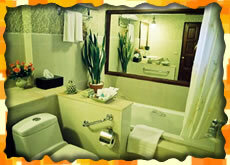 With the addition of another 52 rooms scheduled for launch in early 2005, a total of 72 rooms will be available. 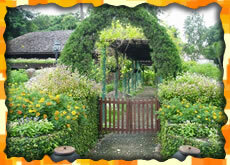 At the crossroads of ancient civilizations and the centuries-old home of Lanna Thai artisans, Chiang Mai is famous for its a rich cultural heritage and artistic tradition. This artistic excellence is reflected in the design, architectural style, plush interior décor and ambience of the resort. 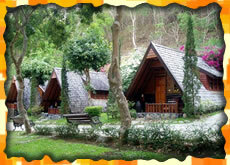 Krisdadoi Chiangmai Aprime Resort currently offers 20 spacious rooms and suites. For added comfort and convenience, 20 of our spacious rooms and suites have been re-modelled and converted into five country-style cottages of varying sizes, large and small. Built from Golden Teak, a durable hardwood that is native to the region and treasured for its natural beauty, the new cottages will feature Colonial-style architecture reminiscent of the Shan period in this ancient 700-year old city. With the addition of these new rooms, the total number of rooms available increases to 72. 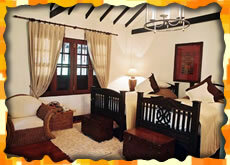 A 2-bedroom chalet suite with a large living room, 2 bathrooms, a pantry and a spacious private verandah. 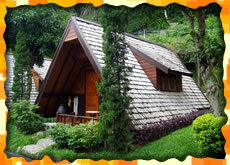 This authentic teak chalet is ideal for long stays and corporate entertainment. For the comfort and convenience of our guests, each room comes with a full range of services and amenities that includes a safety deposit box, mini bar, hair dryer, cable TV, IDD international dialing, coffee/tea-maker. 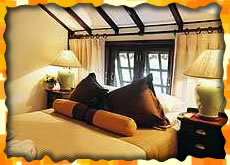 Some rooms feature a mini-combo audio system, private verandah and balcony with a panoramic view of the beautiful gardens, waterfall and fountains. 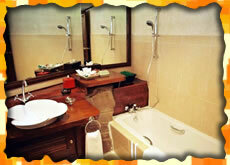 Laundry & Dry-cleaning, shoeshine, newspaper, and butler services are also provided. The resort’s three restaurants and the Grill Room offer a wide spectrum of culinary adventures featuring exotic Thai, Fusion and International Cuisine, as well as sizzling barbeque specials. Beyond the cuisine, the outlets and bars offer a mesmerising view of the splendid landscaped gardens, the cascading waterfall and stream, natural fountains and breathtaking vistas of the mountainous setting. 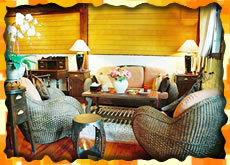 The perfect ambience for a country style experience. Serves Thai-Chinois and Grilled cuisine and offers all day dining featuring a special menu created by our Executive Chef, both Northern Thai and Chinese style cuisine. Opt for outdoor dining with meals served on the large terrace located on the bank of the mountain stream and offering a panoramic view of the Doi Suthep-Pui hills. The Kris accommodates up to 260 guests with seating capacity of 80 indoors and 120 outdoors on the ground floor and 2 private rooms on the upper floor accommodating 30 persons each. 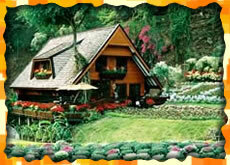 Located on the other bank of the Ta-Chang stream, The Valley - our fine dining outlet serves fusion cuisine. It's also the 'in' place where the 'rich and famous' entertain their guests on special occasions. The colonial-style architecture and The Grand Room, with its high ceiling and tall glass windows offering uninterrupted views of the gardens and surrounding natural landscape, combined with Krisdadoi Chiangmai Aprime Resort’s unique setting, makes Krisdadoi Chiangmai’s ‘Grand Room’ a favoured choice for theme parties, banquets and weddings. For banquet dining in style, the Grand Room accommodates up to 300 guests. For meetings, an outdoor corridor adjacent to the Grand Room offer easy access to a series of smaller break-out room. 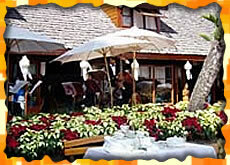 A shuttle service by traditional cart offer quick and convenient transfers between the meeting or banquet area and guest rooms. 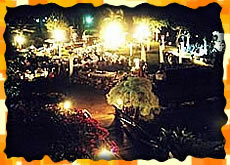 For special once-in-a-lifetime moments, such as weddings, The Gazebo, in the midst of sub-tropical flowers and rare native plants and surrounded by splendid mountain vistas, provides an elegant and enchanting ambience, complete with waterfall, stream and fountains, setting the mood for a grand and memorable celebration. 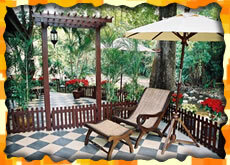 The Gazebo provides a charming setting for leisurely outdoor relaxation. 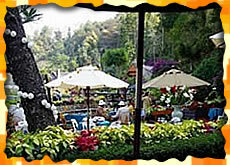 A calendar of live music events offers entertainment while enjoying afternoon herbal tea or fresh tropical fruits juice, and even traditional Thai massage. The Jom Spa holistic health and beauty programme incorporates fitness and wellness components and includes conventional as well as contemporary therapies and treatments, educational programming, beauty consultancy, and spa cuisine. Unique touches of Thai-ness, courteous hospitality and service, complemented by the caring nature and gentle ways of our Lanna Thai staff, embellishes the Jom Spa experience. Our spa facilities have been purpose-built to provide stress-relief pampering. All aspects of The Jom Spa, including the spatial design, the architectural style, interior décor and luxuriously appointed spa facilities work in synergy to help you relax and unwind. In the total serenity and calming setting of The Jom Spa and its private treatment rooms, lie back and feel the tension and stress melt away as specialists trained in the art of traditional Thai massage work the magic with their nimble fingers. Gaze at the thousands of twinkling stars in the night sky as you delight in the pampering touch/caress of our spa therapists or as you re-energize in the swirling currents of the ozone pool. Our spa menu offers a balanced combination of traditional Eastern well-being therapies as well as Western therapies incorporating conventional and contemporary therapies and treatments, fitness and wellness components, consultancy services in beauty, health and well-being, and spa cuisine. Inspired by the rich cultural heritage of the ancient northern Thai kingdom called ‘Lan-na - land of million rice fields’, some of the highlights of our holistic Thai Spa programme are based on time-honoured healing traditions and ancient formulas. Indigenous herbs and spices, prized for their healing/therapeutic qualities, provide a wealth of natural ingredients for a rich assortment of essential oils for aromatherapy and exotic herbal preparations featured in rejuvenating treatments, such as herbal heat compresses and herbal steam. Meditation classes, designed to calm the mind and spirit, and Thai massage are also an integral part of our all-encompassing health and well-being programme. In pursuit of excellence, The Jom Spa offers only a selection of the world’s finest spa products; spa services are professionally delivered in accordance with internationally-recognised standards and practices. A fully-accredited destination spa, our comprehensive and professionally-administered spa programmes have been designed by medical experts and specialists in aging and youth rejuvenation and spa professionals, with certified and experienced therapists working along side medical advisors and spa professionals to provide comprehensive wellness care in an environment designed to restore the delicate balance of mind, body and spirit and create a sense of well-being. Beyond the variety of services and products we offer, the competence of our staff, cleanliness, design and ambience, we believe that spa excellence is ultimately defined by courteous hospitality and the quality of the spa experience. The Jom Spa. Your time to relax, reflect and revitalize.